Laser Hair Removal at Boise's Best Medical Spa. Stop shaving. Eliminate stubble, and ingrown hairs. Common Laser Hair Removal Areas: Bikini, Underarms, Face, Arms, Legs, Back. Usually four to eight treatments three to six weeks apart. No down time. Also consider CoolSculpting (not SmartLipo), IPL (Intense-Pulsed-Light), Botox, Juvederm, in Boise, Meridian, Eagle, Sun Valley, Southeast, Idaho. Spa Thirty Five. 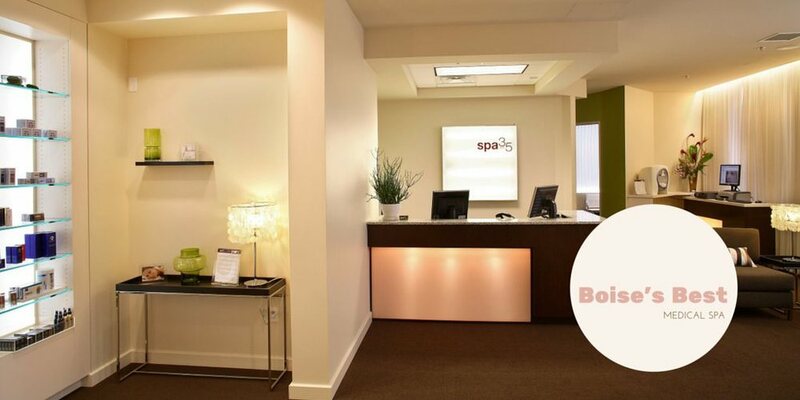 Here's What Our Clients Say About Their Experience At Spa 35® Med Spa. Enjoy the modern way of dealing with unwanted hair- Laser hair removal. After Laser Hair Removal at Spa 35® you won't be embarrassed by stubborn stubble or waste valuable time shaving and plucking hair as part of your daily routine. Call today for your complimentary consultation 208-367-0700. Laser hair removal is wonderful time saver. In a few treatments you can save time everyday by eliminating the need to groom and remove undesirable hair. Laser hair removal is done in a series of treatments that are usually scheduled 4-8 weeks apart. During each treatment less hair will be visible and the hairs will become finer in thickness. Typically 6-8 total treatments are needed. For most people a few fine hairs will always remain in the treatment area and hair "reduction" is sometimes a better way to think about hair removal. The ideal candidate has dark hair and light skin. The larger the contrast between the skin color and the hair color the more effective your treatments. Treatments can be a little uncomfortable. When the laser energy is absorbed by the hair shaft it is converted into heat which stops the follicle from growing more hair. Results vary by individual. The best candidate generally has high color contrast between hair and skin (dark hair, light skin). Photographs are for illustrative and marketing purposes only. Some people do not respond to laser hair removal treatments. Hormone imbalances can impact hair removal effectiveness. Polycystic ovaries is a commonly seen condition that negatively impacts the effectiveness of these treatments. Costs for laser hair removal varies by treatment area and the number of treatments purchased. Most common treatment areas are: bikini, underarms, lower legs, upper legs, face, and arms. The cost typically ranges between $399 - $3,999. With the wide range of treatment areas and variety of treatment packages the best way to get an accurate price estimate is to contact the Spa 35 team at betterskin@spa35.com, they're free so you can get an accurate price estimate and determine if Laser Hair Removal is for you. Yes. Most people can achieve a 80-90% reduction in hair growth with laser hair removal. A small percentage of people are "non-responders" meaning laser hair removal will not work for them. The best results in laser hair removal are experienced by those who have dark hair and light skin. People who closely follow the treatment schedule (the number and frequency of treatments) also have the best results. Blond hair is typically not treatable and red hair is difficult to treat. The great news is that the most obvious hairs, the dark ones, are the easiest to treat. What are common side effects of laser hair removal? Generally there are minimal side effects. The skin can be red and irritated after a treatment, similar to a light sun burn, that fades within a few hours. Patients should be very careful with sun expose before and after a treatment. Skin that is actively producing melanin because of expose to the sun is more prone to complications, such as burning of the skin. The documentation for the procedure will provide you a comprehensive list of common side effects. The devices that are used for Laser Hair Removal have been cleared by the FDA for aesthetic and medical applications. Laser Hair Removal has been successfully performed for many years across the globe. As with many cosmetic treatments there are risks associated with Laser Hair Removal, such as burning. Details on risks and contraindications are provided as part of the consultation and are detailed in the informed consent. Is There "Down Time" After A Laser Hair Removal Procedure? Most patients can return to their daily activities immediately after the procedure. You may be red and feel similar to a sunburn for a few hours after a treatment. You should avoid excessive exercise and sun exposure after the treatment. Details on risks and contraindications are provided as part of the consultation and detailed in the informed consent. Can Men have Laser Hair Removal? Yes, men can have hair removed. Some common treatment areas for men are the front of the neck (to reduce shaving frequency), back of the hands, back of the neck, and back. Men are the fastest growing new group of laser hair removal participants. They are having the hair on their neck removed to reduce the hassle of shaving. Men with hairy backs are getting tired of asking for help shaving their back and turning to laser hair removal as long term solution. 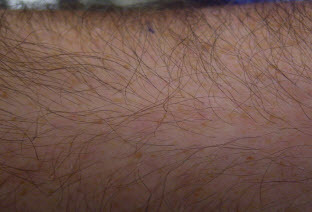 Laser hair removal is tolerable, but can be uncomfortable, particularly on sensitive body parts (e.g. bikini). Hyper or hypo-pigmentation is rare but possible. Avoid sun exposure before your treatment. We want the maximum contrast between your skin color and hair follicle color. Skin cells that are actively producing melanin as a response to the sun are more prone to damage and burning from the laser and more prone to over or under produce melanin after the laser treatment. Hair revolves through three phases of growth. It is only during the growth phase that hair reacts to laser light. The goal in hair reduction is for laser light to penetrate to the depth of the hair follicle during the growth phase to achieve long terms results. The duration of hair growth cycles varies as to the body location being treated. The laser can only eliminate the hair that is currently in the growth phase. Multiple treatments are necessary over consistently spaced at weekly intervals in order to successfully remove hair from most areas. Following the recommendations, number of treatments and treatment schedule outlined by a Skin Specialist is an important step to successful permanent hair reduction. 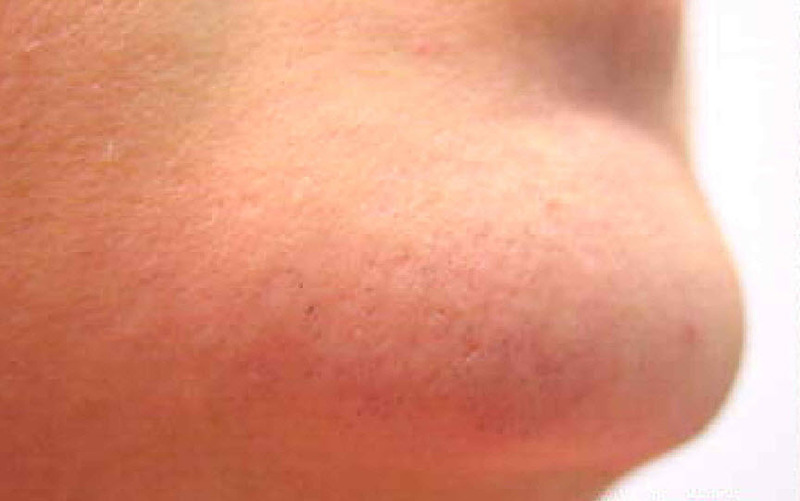 Final results may not be apparent for several months following the Laser Hair Removal treatments.